You can find very small engraves, "1/10 12KGF", on very old antique frames made in America. "GF" stands for "Gold Filled". So "1/10 12KGF" means that 1/10 of the frame is 12 Karat Gold. 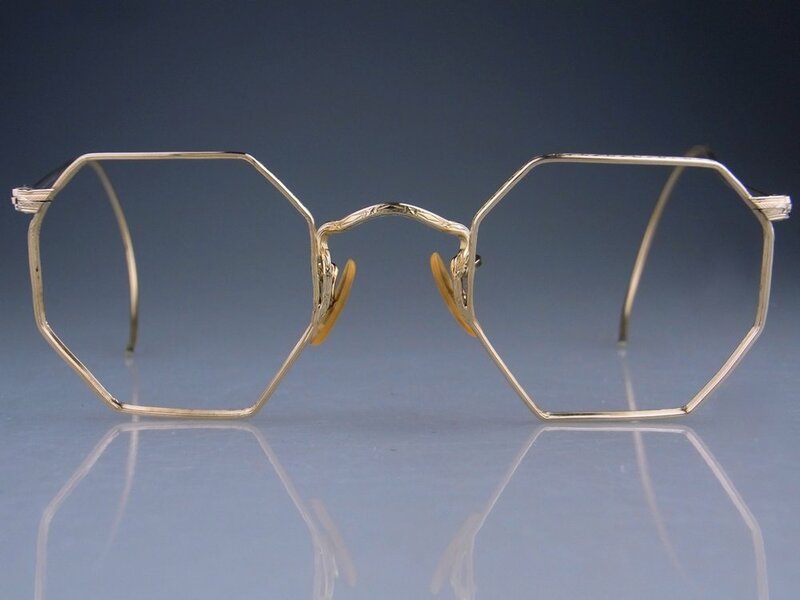 This means that this frame is filled with very thick gold, far thicker than Gold Plated material, which was used for eyeglasses frames mainly after late 1970s, when gold prices rose. Gold was not that high price those days. But before 1960s Gold was not that expensive as you can see in the chart above. Thanks to this good material, we can still use them without any special care. 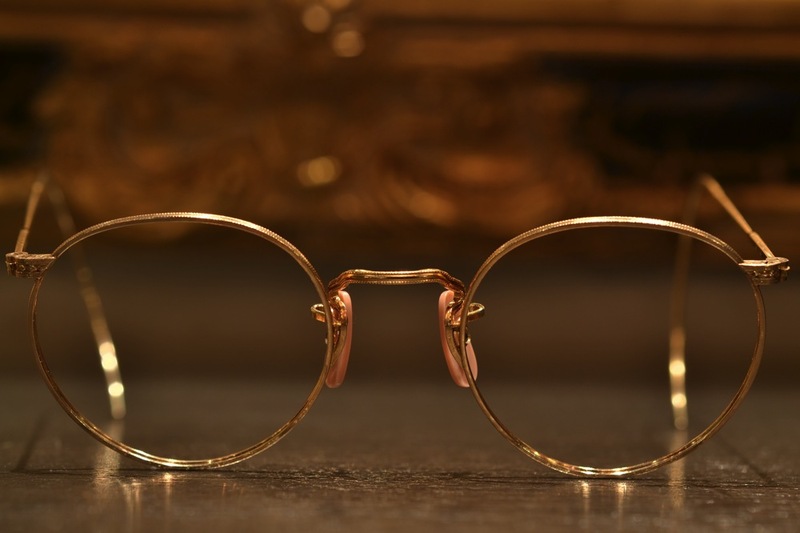 Thicker Gold Filled makes the frame resist rust. And their texture is totally different from Gold Plated. Naturally luxurious. Antique frames are so hard to find.